Soak poha in cold water for 10 minutes and drain the water. Heat oil in a pan,add mustard,peanuts,channa dal and onion and fry well. Add green chilli,curryleaves and turmeric powder. Now add carrot and beans,and cook it until tender by adding water. Add salt and poha,give a good mix till it combines well. 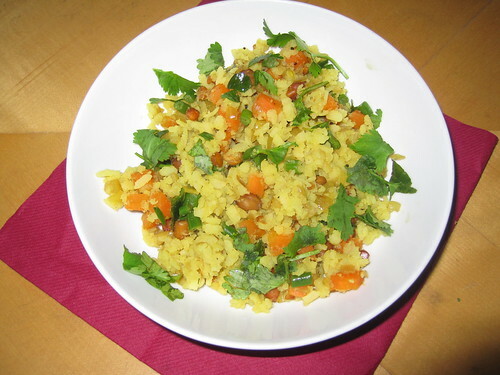 Now, yummy vegetable poha is ready to serve. 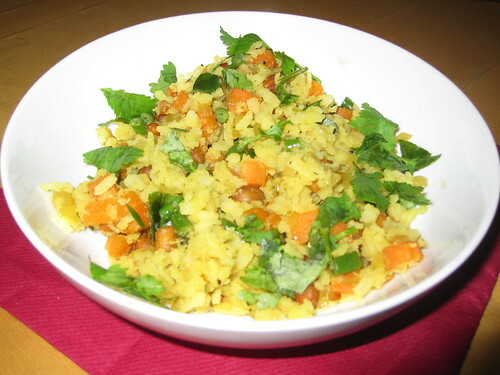 This yummy vegetable poha can be served for breakfast with flavoured raitha. I am sending this recipe to Charitha's B for Breakfast Event. poha looks yumm...adding vegs you made more healthy..